Item # 276443 Stash Points: 1,999 (?) This is the number of points you get in The Zumiez Stash for purchasing this item. Stash points are redeemable for exclusive rewards only available to Zumiez Stash members. To redeem your points check out the rewards catalog on thestash.zumiez.com. 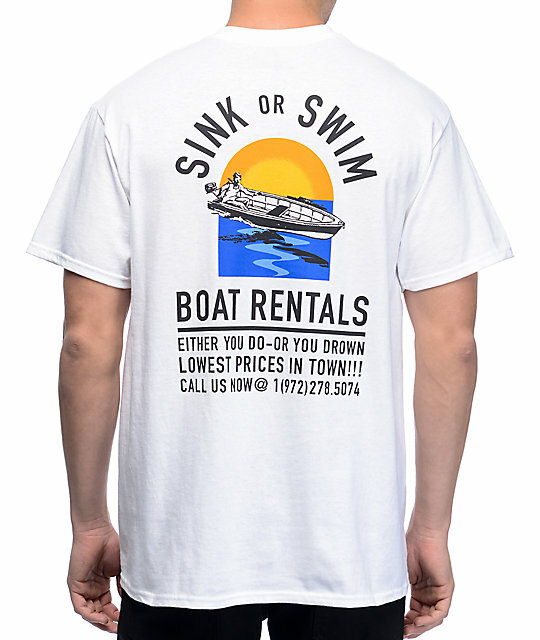 The A-Lab Sink Or Swim White T-Shirt is designed with matching screen print graphics on the front left chest and back that include the text "Sink or Swim" and "Boat Rentals." The graphic on the back features an abundant amount of extra text, offering a quirky soliciting vibe to go along with the motorboat image. 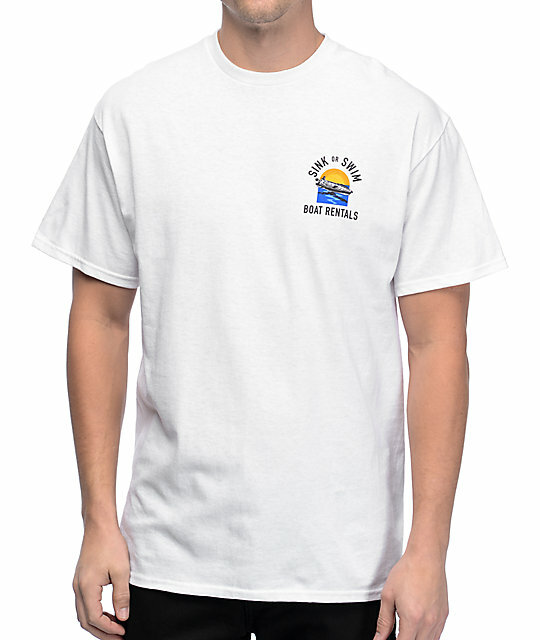 Sink Or Swim White T-Shirt from A-Lab. Matching screen print graphics on the front left chest and back.